This February, BOLON will reveal new innovations guaranteed to inspire the design of creative spaces. With a focus on new materials, we introduce you to a selection of furniture craftsmen specially chosen to experiment with BOLON’s new textiles. Choosing one of their iconic pieces, we learn how they were able to transform one of their furnishings using BOLON. 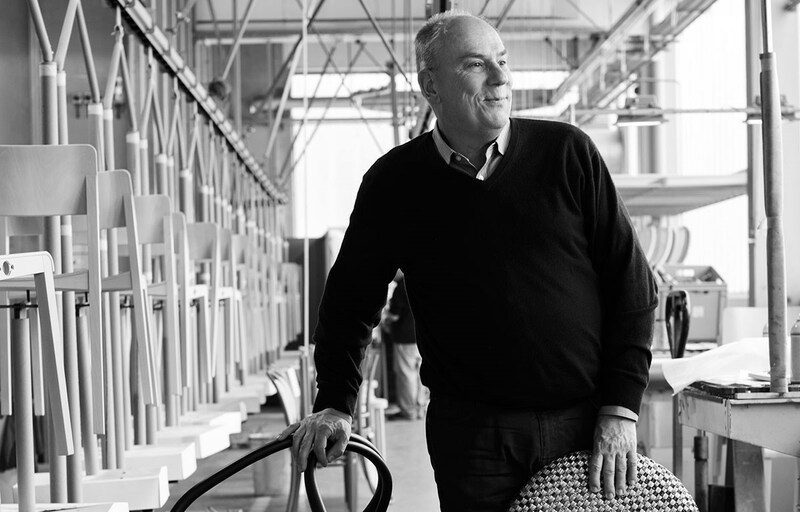 Here is the third in a series of collaborative conversations – with Philipp Thonet. I have been in the furniture business since 1984 when I came back from the US. I worked as a photographer then, and coming back was a very natural step. For me, coming back meant entering the family business with my two brothers. I went through different stages in the company from outside sales, product development and concept design. So I know what it means to work with new materials and design. Today I am taking care of export business in North America, Canada and South America. Contact was made through our Head of Product Development in 2016 when we were asked to use BOLON’s beautiful material and do some experiments. The BOLON brand is always on my mind when I think of innovations. I hear many designers talk about BOLON, so there is a big awareness in the design community. I see the efforts that are being made to communicate innovation and I see there are innovations – which is important and it also reflected in our corporation. This is why the collaboration with BOLON came about really easy. 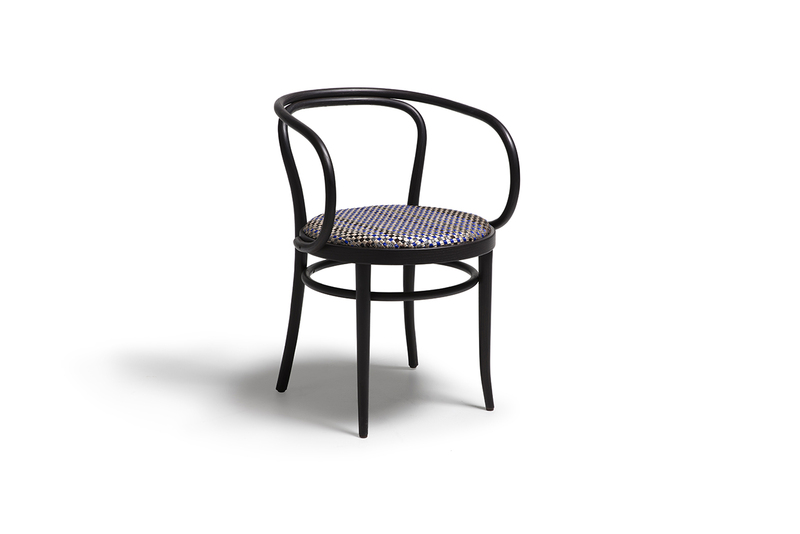 We selected the classical 209 Bentwood chair (our core classic product) for the experiment and this is the first time I have seen the finished product. 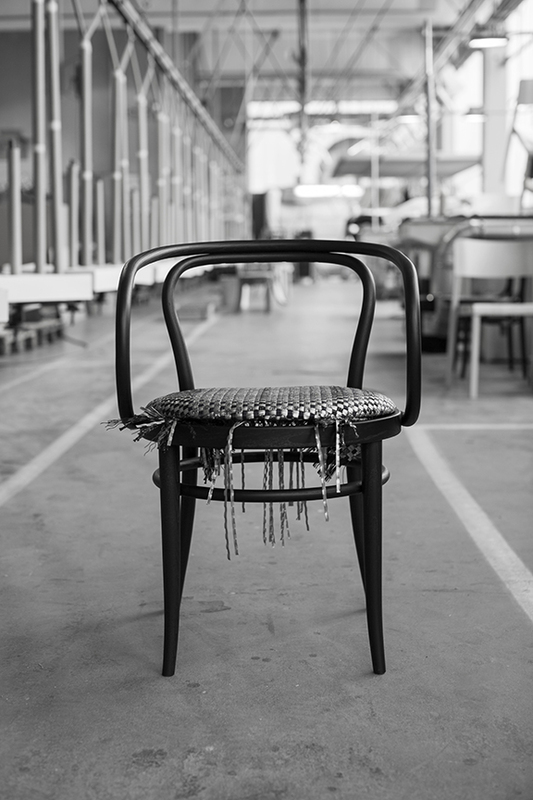 Walking through the factory and seeing the production process using the seat pad and its placement on the black 209 chair has been great. 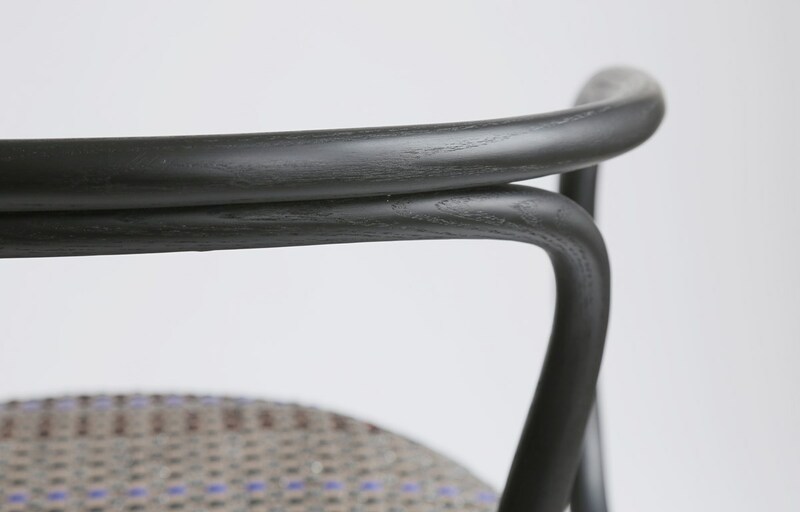 I feel this is a nice and elegant material that could easily be used as a restaurant chair. 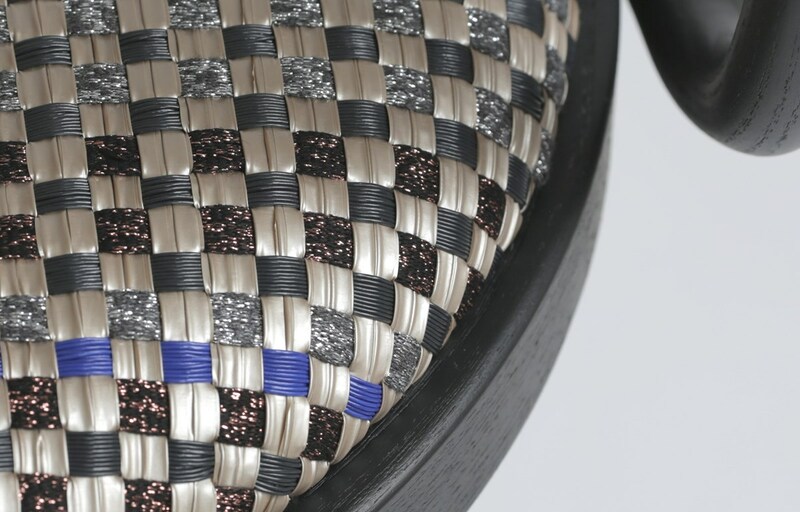 The material catches a lot of attention and is an interesting and fashionable material to use. It lifts up our classic 209 chair in a very different perspective and makes it a modern, stylish product. So yes, the material works very well. 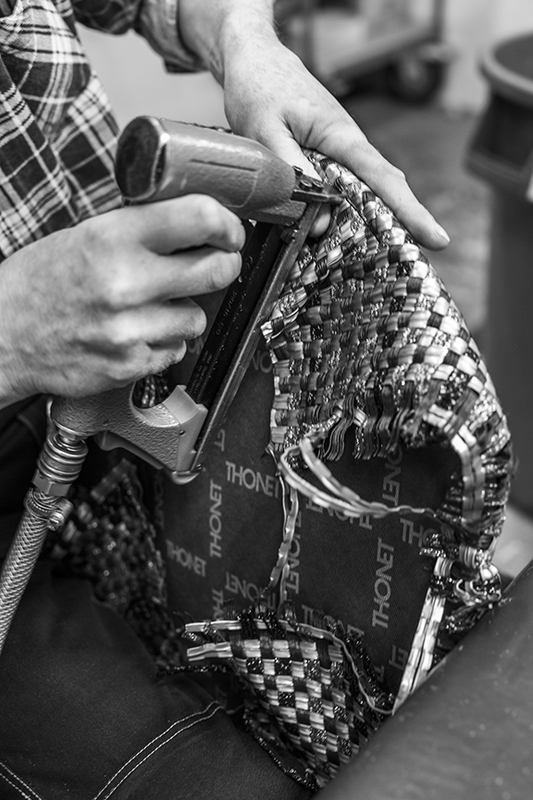 The material works just like a fabric – you can tack it onto the seat and it is just a very easy process to work with. I am not sure how you can use it on a big surface, like a sofa because it just needs special attention, but on a flat seat no problem – we must try it out next time. The pieces have changed by adding colour to them. The material is very fresh. I am involved in seeing the pieces so often, and using the material just gives a new approach; and I like this approach. It is really nice. We have our own fabric collection, but most of the time people send in their own material. I can definitely see this fabric being used in our collections and it would work very well.